Intrigue clients with this chic black and gold display to help showcase and sell the Lash Densifying™ Liquid Eyeliner. 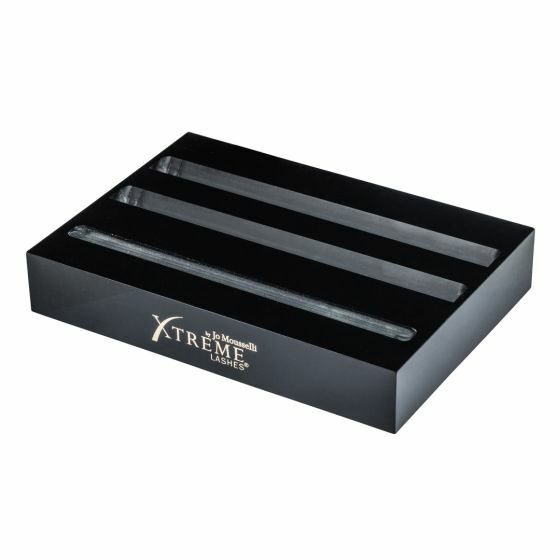 This display is complementary to the other Xtreme Lashes display blocks, with slots for a tester and 2 retail units that lay horizontally to prevent tips from drying. Approximately 4.75"" x 6.75"" x 1.5"". Use the tester to show your clients the two unique tips and the beautiful classic black shade, while keeping the slots filled with products ready to sell.